A few months ago, Google announced a new feature in Android. Version 4.2 Jelly Bean has an integrated real-time app scan which should be able to check if applications you install are clean or malicious. But is this enough? 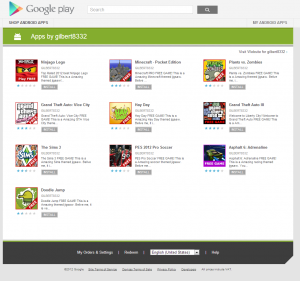 Sleazy Android app developers continue to sneak their fake apps by the Google Play gatekeepers. These guys rip off popular apps in an attempt to fool unsuspecting users. "In the start of this week, Google released a few applications from a developer called GILBERT8332 which pretend they are legitimate applications. Between these applications you can find quite common games such as The Sims 3, Asphalt 6, Ninjago Lego and so on. And compared to original developers they are free," said Filip Chytrý, a researcher from Avast Virus Lab. The common result of downloading a bogus app is that personal information like your email address and mobile phone number are stolen and you are served an unending stream of spam and unwelcome offers. Chytrý warns, "When you download them and install in your android device you will be surprised. All of them are malware. 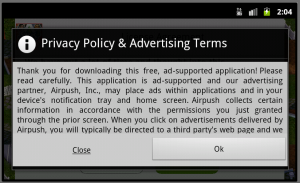 They all start quite innocently with a license agreement of AirPush advert. 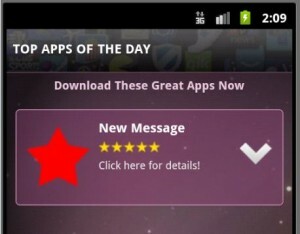 (AirPush is a advert system which allows to show advertisement in notification bar of your Android device.)" "And then the funny parts come up. The Game will ask you if you want to change your main page in browser and put a search icon on desktop. Even if you decline, it's too late. Your browser is already changed for another search page and your device is filled with uncomfortable adverts and as a bonus, the device will send personal information to a third party," said Chytrý. malware distributed with them. Our popular anti-virus/anti-theft app for Android stops downloads of fake apps and games, so you won’t be duped. "All of these apps use multiple advert services, steal your personal data and they even are hidden under different creators. But don't worry. Avast detects all of the mentioned applications as Android:FakeInst-DL, and urls of fake searchers are blocked also," said Chytrý.